It’s light entertainment for sure – not a lot in there that I didn’t already know. 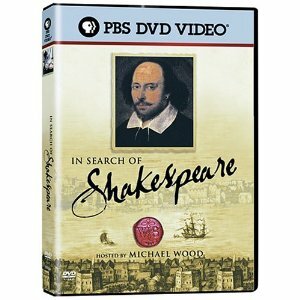 I have recently bought the 3-hour Shakespeare’s Stratford (I would link to it on amazon.com, but the site seems to be down right now, so here’s the amazon.co.uk link: http://www.amazon.co.uk/Shakespeares-Stratford-DVD-Region-NTSC/dp/B0012Z36BW/ref=sr_1_5?ie=UTF8&s=dvd&qid=1289995890&sr=1-5), which however I haven’t watched yet, and I also intend to get Shakespeare’s Way (http://www.amazon.co.uk/Shakespeares-Way-146-mile-London-Stratford-upon-Avon/dp/B002XEVY38/ref=sr_1_3?ie=UTF8&s=dvd&qid=1289995890&sr=1-3). I think both of these will prove enlightening, although perhaps not scholarly.